Locality: USA. South Carolina. Aiken Co.: Riverview County Park, end of County Road 1931, N Augusta, NW of parking lots. 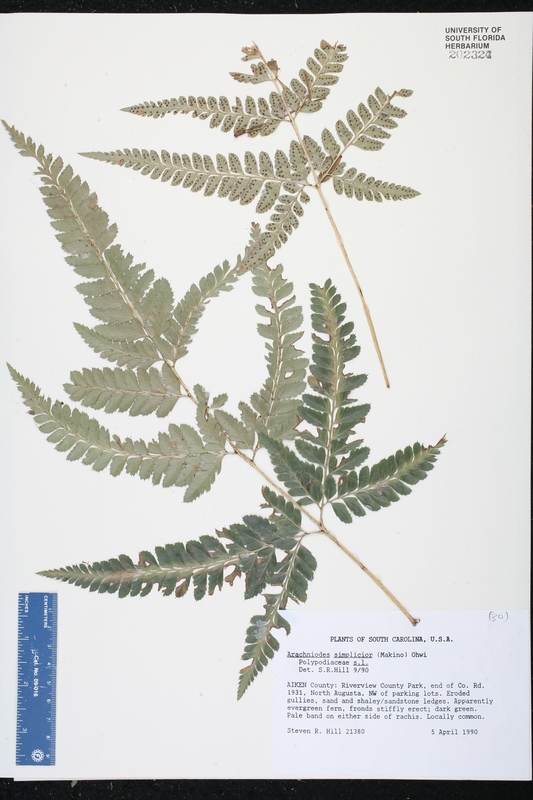 Description: Apparently evergreen fern, fronds stiffly erect; dark green; pale band on either side of rachis; locally common. Habitat: Eroded gullies, sand and shaley/sandstone ledges.